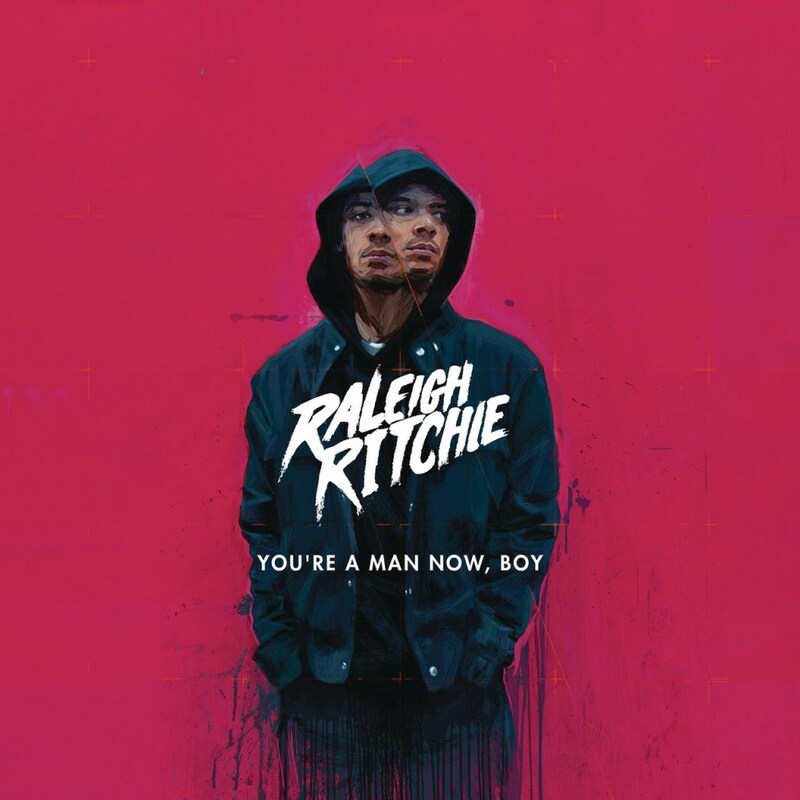 Raleigh Ritchie (real name Jacob Anderson) is probably very recognisable, as he plays Grey Worm in HBO's immensely popular Game Of Thrones. Music is something Ritchie had been involved in before landing a part in the TV series, with his first recognition in 2006 for featuring on the soundtrack of Adulthood. Consequently a record deal followed, with his debut EP The Middle Child released for free. The video for the album's lead single 'Stronger Than Ever' has over 3.5 million views on YouTube thus far. His debut effort starts out strong with 'Werld Is Mine', giving an insight into the dark, but possibly frequently visited part of his mind, with lyrics "I'm stuck, stuck on a loop / And I can't vacate / Truth is I can't stay safe / Ready to be free of this pain and I can't wait" and with a heart-thumping loud beat usually reserved for songs in the Hip-Hop/Rap genre but includes some orchestra instruments and humming in there too - it's definitely a different take on how to start a Hip-Hop album, but a great one. 'Keep It Simple' takes on more of a Pop beat that you'd expect to see on the Top 40 - a catchy beat, and Rap from Stormzy about buying and eating cake (that's not a euphemism - promise!) and lots of repeats of the same chorus, so it's been made for the radio, something to please the radio stations and the artists' bank account, so not particularly a stand out or anything special. The slower songs on the record are showing off his powerful vocals, something no-one expects as he raps all the time, and it's beautiful - definitely worth listening to if you want to see Ritchie in a new light. The album is well-rounded and features both dark and playful topics of conversation, showing that he is in fact a man now, boy. You can buy You're A Man Now, Boy on iTunes, Amazon (UK | US) and stream it on Spotify for free. Raleigh's on social media too - follow him on Facebook, Twitter and Instagram to see what he's up to. Follow me on Twitter, Instagram and Like my Facebook page to see what I'm saying and keep up with my latest posts.